Penguins near CapeTown, South Africa. 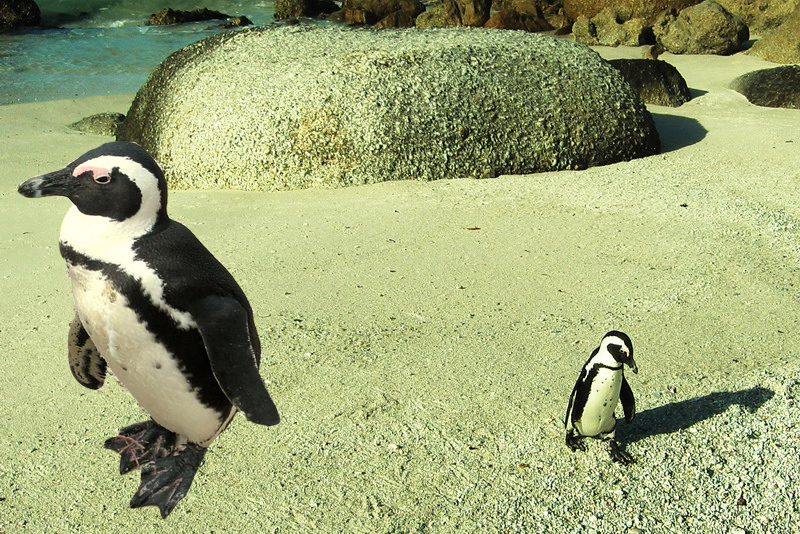 A colony of African Penguins can be visited, via a train ride from Cape Town to Simon’s town. They are mini-sized penguins, no taller than 70 cm average.